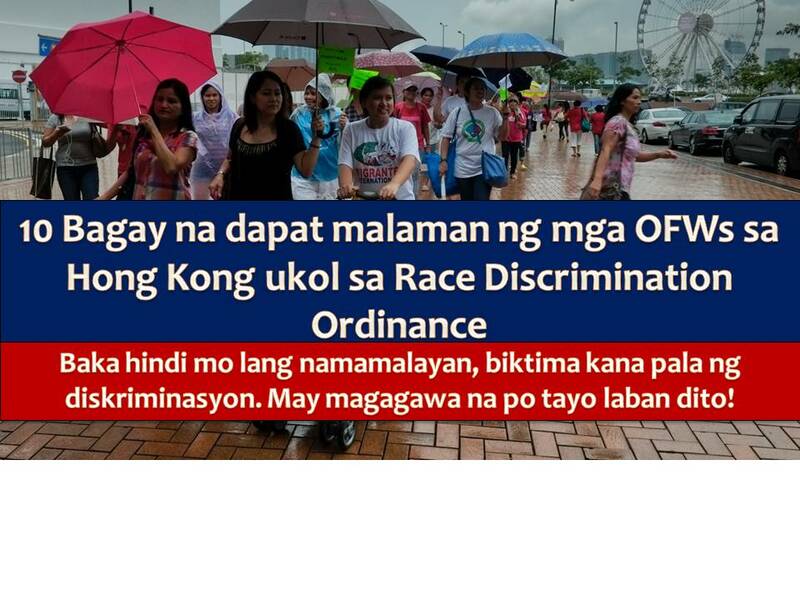 Victim of racial discrimination while working in Hong Kong? You can now file a complaint to the Labour Department. 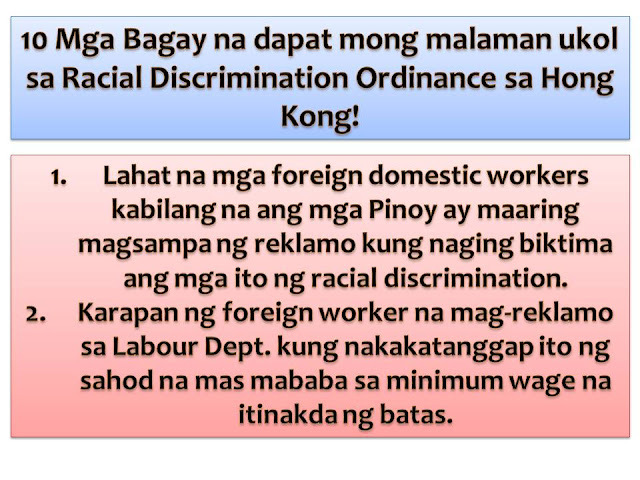 This is the reminder of Equal Opportunities Commission (EOC) of Hong Kong government to all foreign domestic workers. In EOC statement, it reminds everyone that the government has fixed a minimum allowable wage for foreign domestic workers, and it is an offense for an employer to pay her/his domestic worker below the minimum wage. Discrimination based on race, color, and descent, as well as national and ethnic origin, is also prohibited according to Race Discrimination Ordinance (RDO) of Hong Kong. 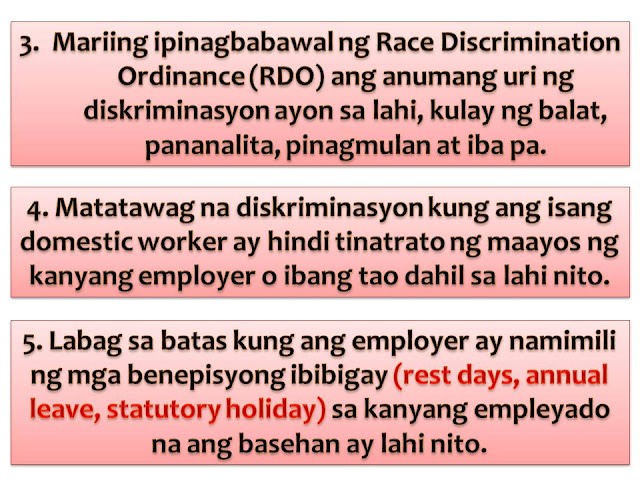 Under Employment Ordinance, rest days, annual leaves, and statutory holidays are also covered which is applicable to all Hong Kong workers, including foreign domestic workers. “If you have experienced discrimination or harassment, we suggest you to tell the discriminator/harasser to stop,” the commission said. 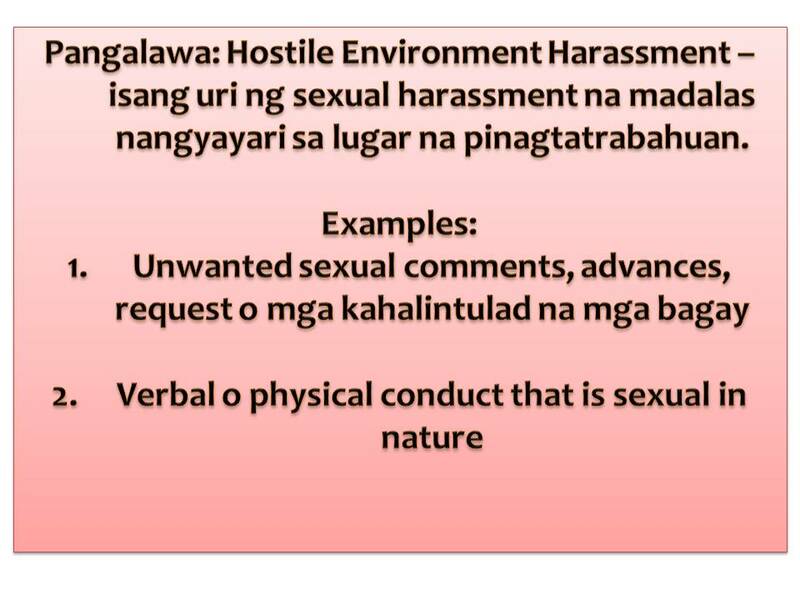 “Speak to your employer if the discriminator or harasser is not your employer and always record the incidents and content of the conversations which took place regarding the discrimination and/or harassment,” it added. 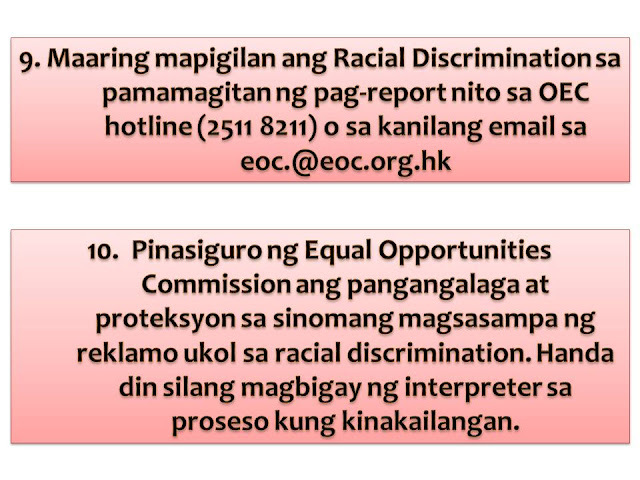 You can also visit the http://www.eoc.org.hk/eoc/GraphicsFolder/tagalog.html. for more information regarding the Anti-Discrimination Laws and How to file a complaint to the EOC in Tagalog.